Employment North delivers free employment services to adults, newcomers to Canada, persons with disabilities, students and youth. Employment North connects people looking for work, with employers looking to hire. Serving the East Parry Sound District and communities surrounding Gravenhurst, our agency delivers free employment services to adults, newcomers to Canada, persons with disabilities, students and youth. As a non-profit, community based agency, we help individuals to get the training, skills and experience to achieve their goals. 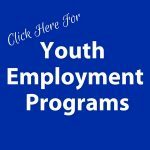 If you are looking for a job, career change, would like to work in the trades, need education or training, or if you are an employer looking to hire, we are here to help. Employment North located an employee quickly for me with the skills and experience I needed to meet the demands of my new food business. Their respect for my time and professional, helpful approach makes hiring easier!